One of my favorite parts of fall is wearing sweaters. 1. This striped bell sleeve sweater in fall colors. 2. This burgundy knit sweater that also comes in camel color. 3. This soft mohair-blend cardigan that comes in three colors and looks so cozy. 4. This best seller cardigan that comes in olive green, along with five other colors. 5. This bell sleeve sweater that is under $40. 1. This $13 blush sweatshirt. 2. This $13 sweater that comes in several great fall colors. 3. These brocade slip on slides that are under $30. 4. This chunky cardigan that is only $35. 5. This blush velvet bootie that is on sale. Oh my! The first look is perfect - I have those pieces. Thanks for the inspiration! Loving all your picks! Great post! Great inspiration. 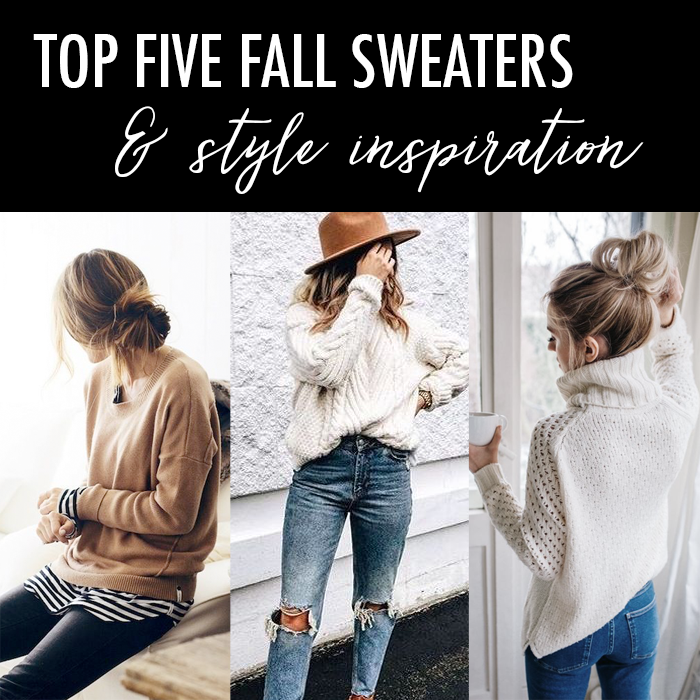 Bring on the fall sweaters!